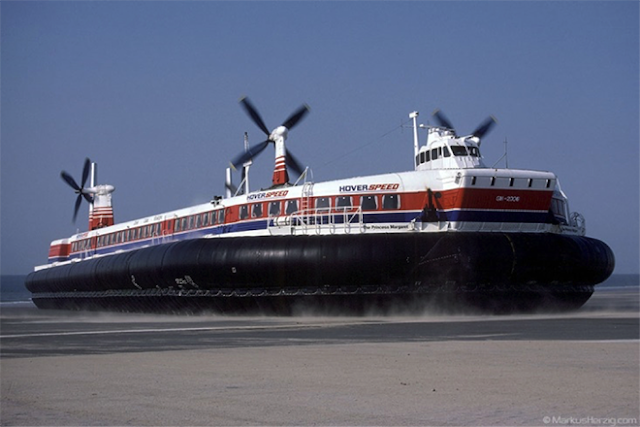 Campaigners are battling to save the last remaining cross-Channel hovercraft amidst fears the beloved vessel could be broken up for good. The hovercraft - dubbed the 'Concorde of the Sea' after they revolutionised travel over the Channel - are currently being housed at a museum. However, the final two vessels are now under threat after their owner agreed to hand them over to the Government in exchange for being excused nine years' worth of rent. The State plans to redevelop the land where the hovercraft stand, which means there could be nowhere for the vessels to be on display and they may have to be destroyed. Enthusiasts have launched a petition to safeguard the future of at least one of the Princess Anne and the Princess Margaret, the final two cross-Channel hovercraft in existence. The pair were decommissioned in 2000 after the building of the Channel Tunnel made their 30-minute travel time less unique. During the hovercraft's heyday, the service was sometimes known as the 'Vomit Comet' due to the 70mph speed which made some travellers feel ill. Since going out of service, the Princess Anne and the Princess Margaret have formed part of the Hovercraft Museum at Lee-on-the-Solent in Hampshire. However, they were owned by a wealthy businessman who stored them on land which was owned by the Government's Homes and Communities Agency. The owner handed the craft over to the agency after it emerged that he had not paid rent on the land for nine years - and officials are now keen to redevelop the site as an enterprise zone in order to boost local employment. Trustees of the museum fear that with nowhere to display the hovercraft, they will be broken up and disposed of. 'The owner had them parked on the land but didn't pay any rent for nine years,' said trustee Warwick Jacobs. The museum's petition calling on the Princess Anne - which is in better condition than the Princess Margaret - to be saved for the nation has attracted more than 11,000 signatures. Mr Jacobs added: 'We have had to respond at the 11th hour but the public support has been brilliant. We know we can't save both of them, but we think one should be saved as a national asset. 'These are the very last of the giant hovercrafts. They are a great symbol of British engineering. People are outraged at the prospect that they could be destroyed by the Government. 'I don't think the government realised there was going to be such a public outcry. They underestimated the value of these hovercrafts. The Hovercraft Museum, which opened in 1986, has 60 inflatable vessels in its collection but the two 'Concordes' are so big they are kept on public land next to the venue. The museum itself is not at risk. A spokesman for the HCA said: 'Our aim is to develop the land to create much needed homes and jobs, and regenerate the local area, however we take our responsibility to national heritage seriously. 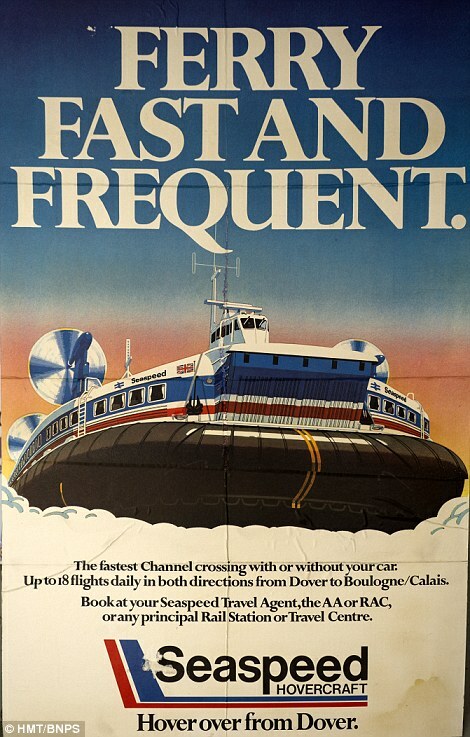 The 170ft-long craft were the largest and fastest in the world when they were made and carried up to 400 passengers and 55 cars between Dover and Calais.